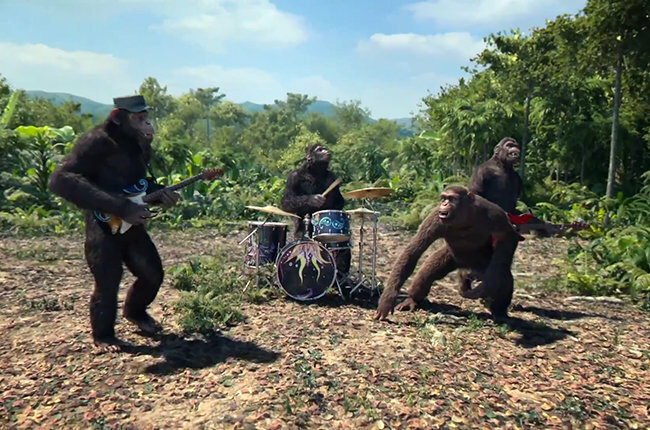 The clip shows behind the scenes footage of the band using motion capture technology and CGI to appear in the final video as apes performing the song. The official video will premiere on Friday, November 27. "The last album was silver and blue, and this one is colour,” Martin tells the BBC. “That's what we were going for. We wanted to have a feeling of freedom and go down whatever road we felt excited by. ‘Ghost Stories' is about dealing with some heartbreak. This is about dreams."